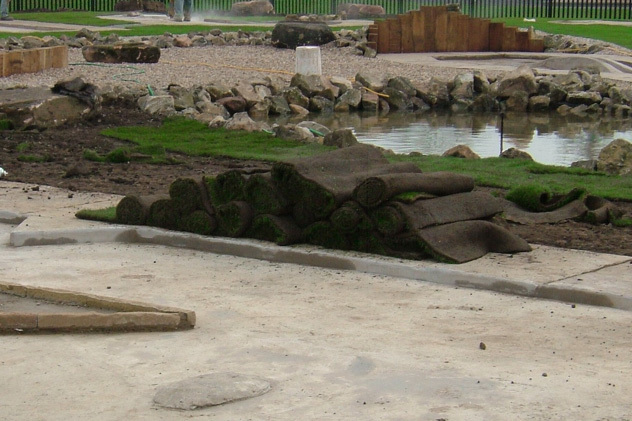 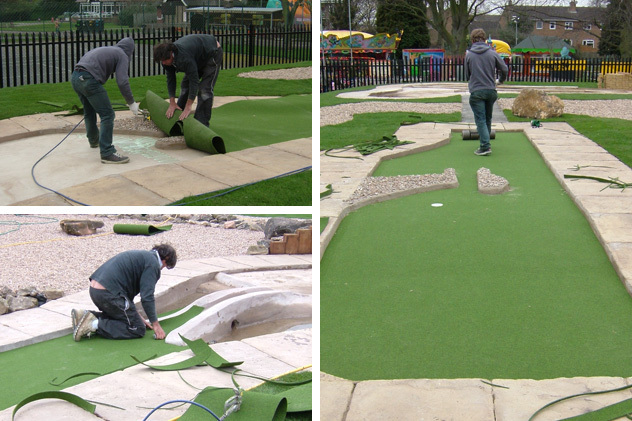 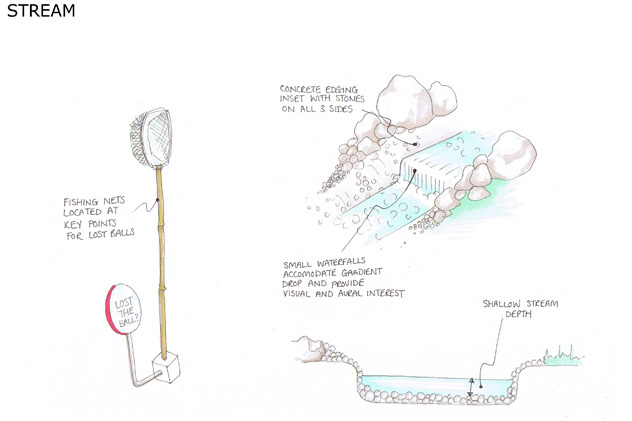 Creating a grand adventure golf course, dressed with natural elements including planting and water. 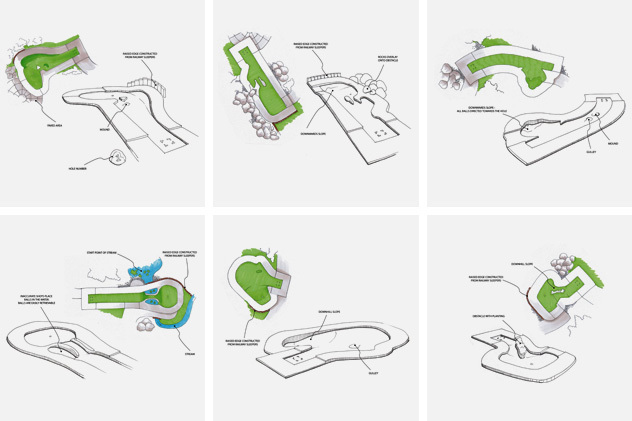 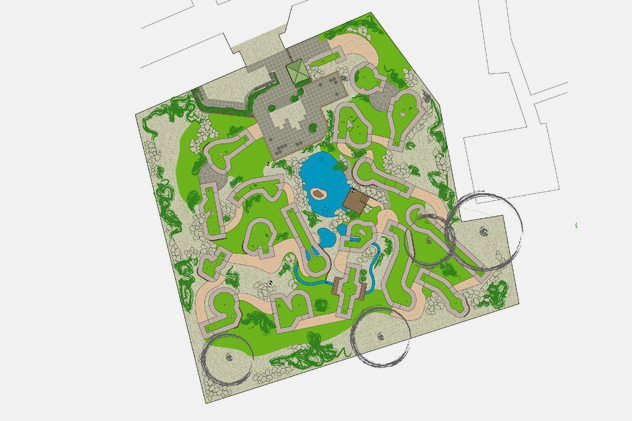 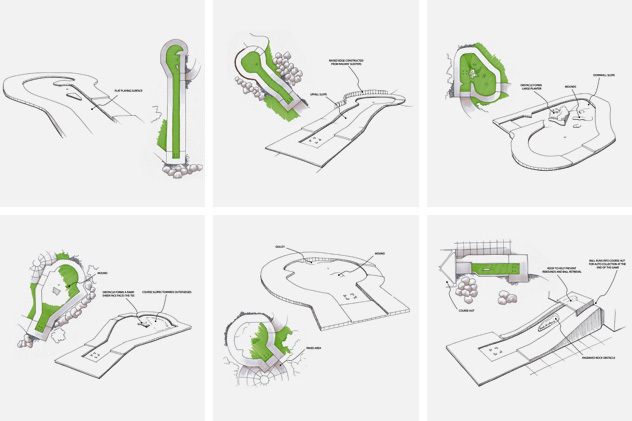 We were presented with a ¾ acre site in a popular Warwickshire park and asked to plan and construct an 18-hole course that would fill the area. 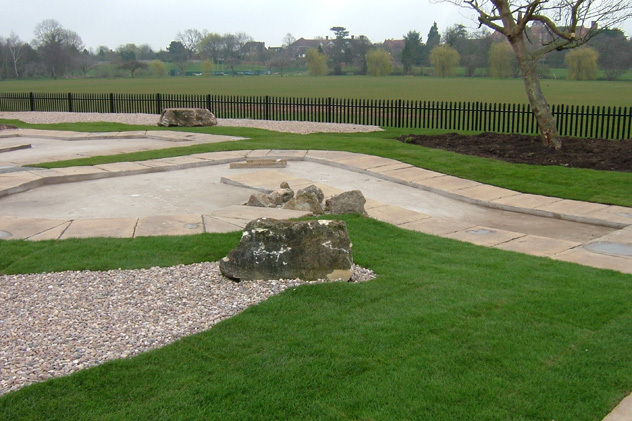 We were also required to use hard and soft landscaping and incorporate large water features to create an attractive facility. 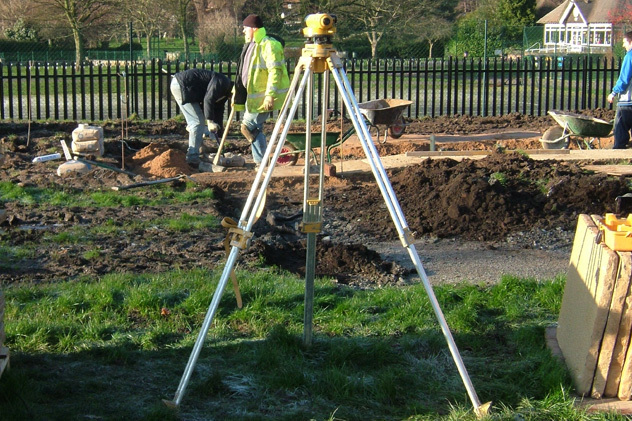 Being that the site is in the middle of a busy municipal park there was understandably a heavy onus on CDM and DDA compliance. 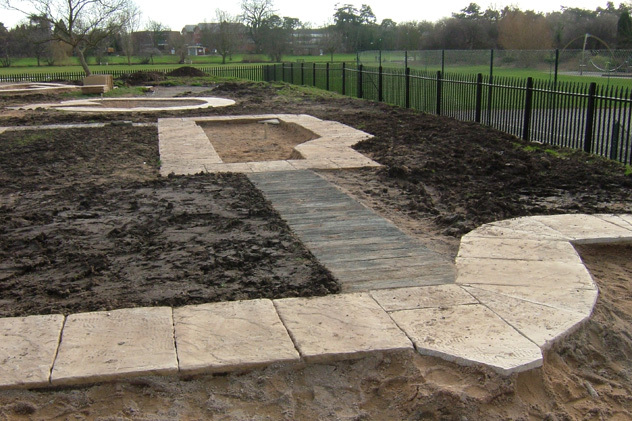 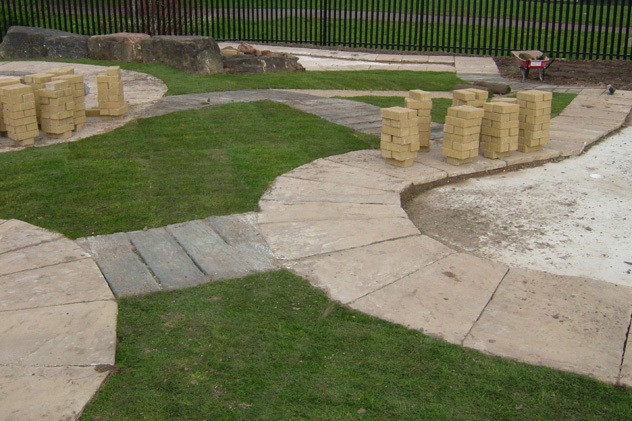 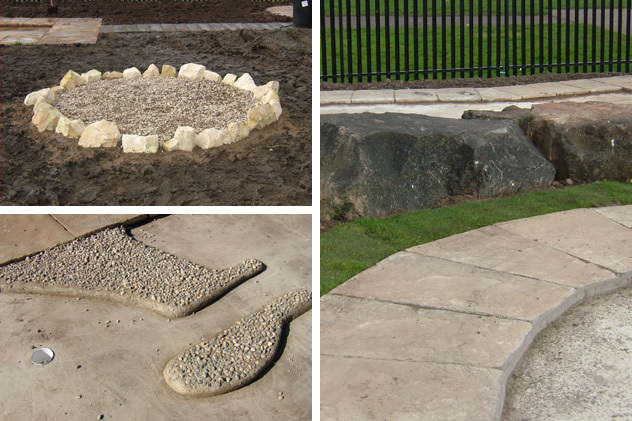 Pathway widths, gradients and general accessibility were all under scrutiny, so it was important we got it right. 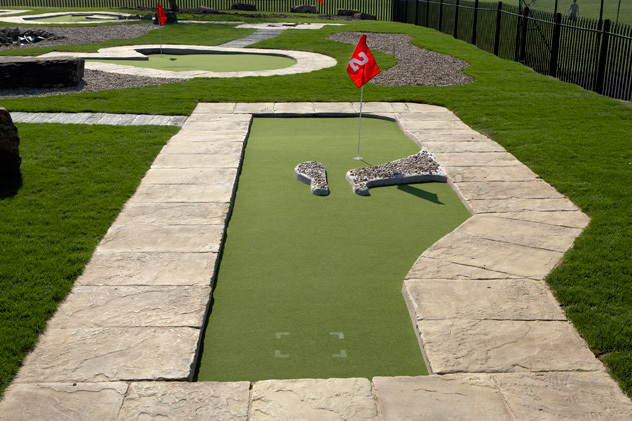 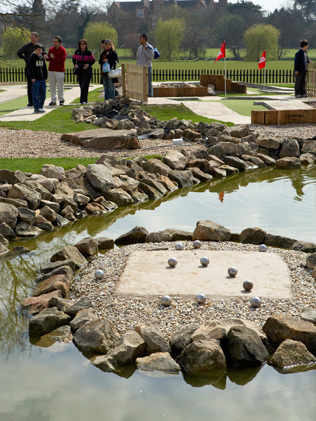 For the layout, we designed the holes to weave around the centrepiece – a 330 sq ft lake! 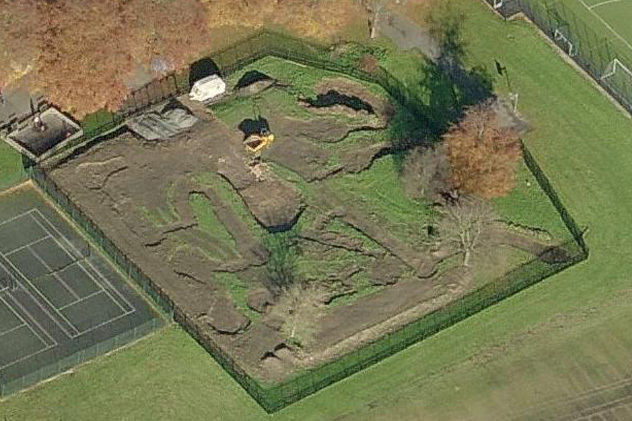 We broke ground in the Autumn of 2006 and worked over the winter. 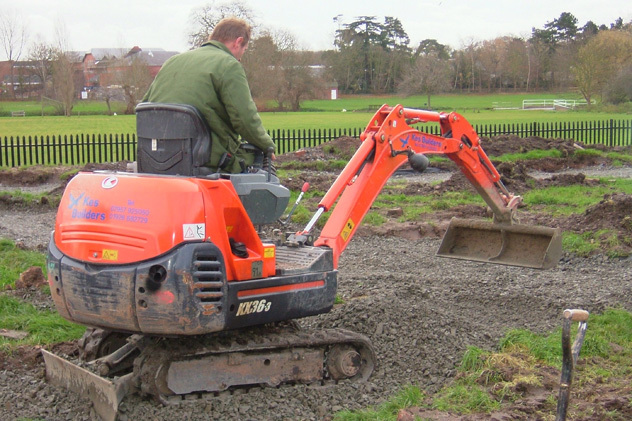 Owing to the scale of the project, our crew (of up to 10 at times) worked through all conditions to get the work done. 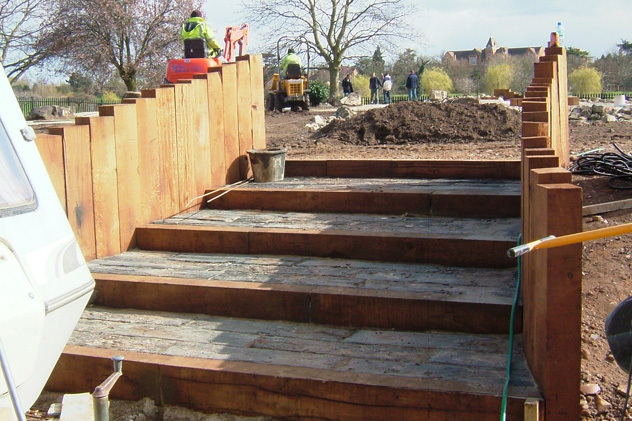 The biggest challenges were in keeping the lake watertight and ensuring the drainage system worked across the entire site. 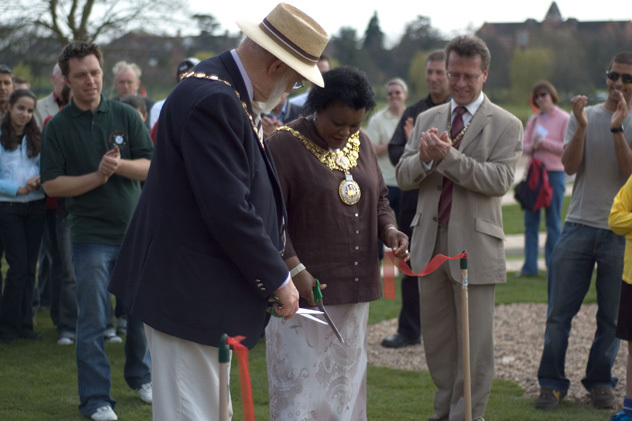 The course opened bang on schedule, the first day of the 2007 spring holiday, by local council dignitaries. 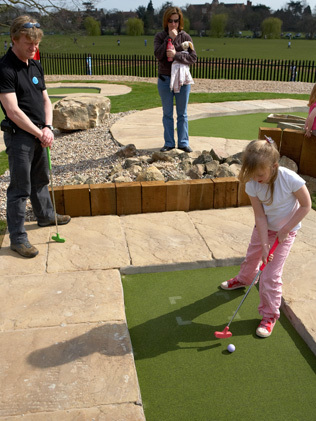 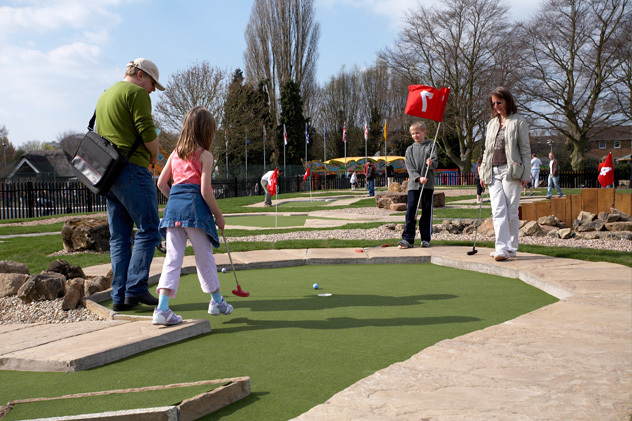 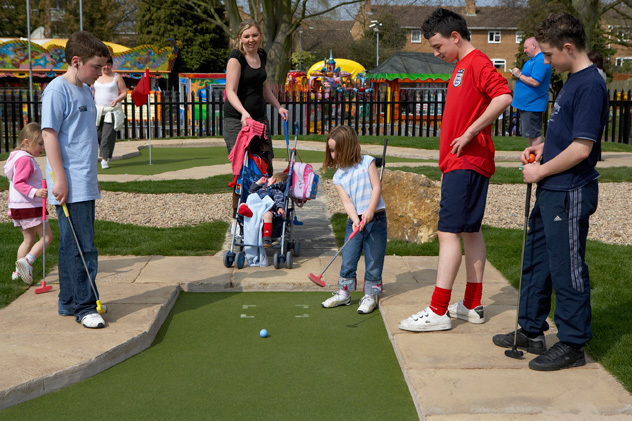 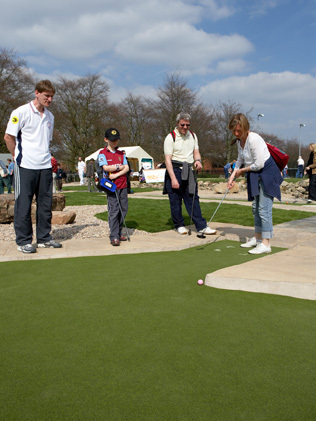 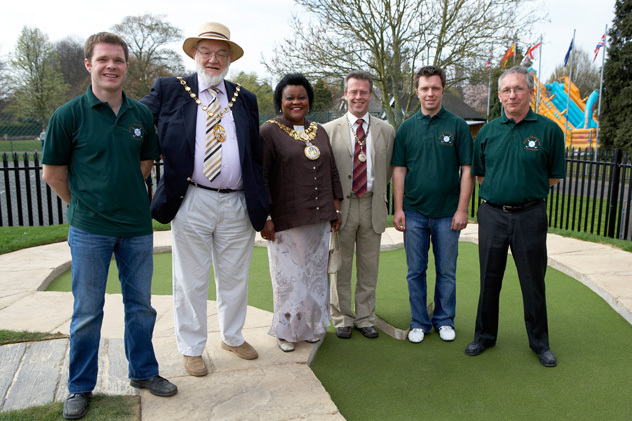 Members of the British Minigolf Team mingled with hundreds of local visitors for the opportunity to set the lowest score on the course. 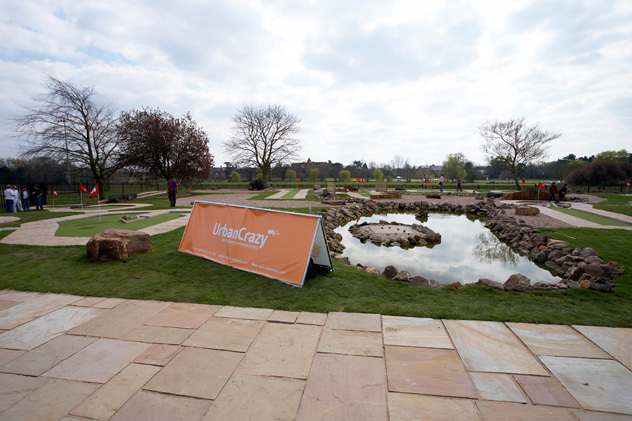 To see so many visitors on our creation was a proud moment indeed! 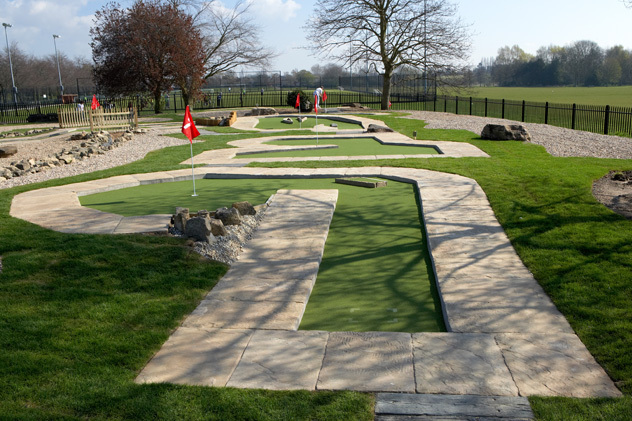 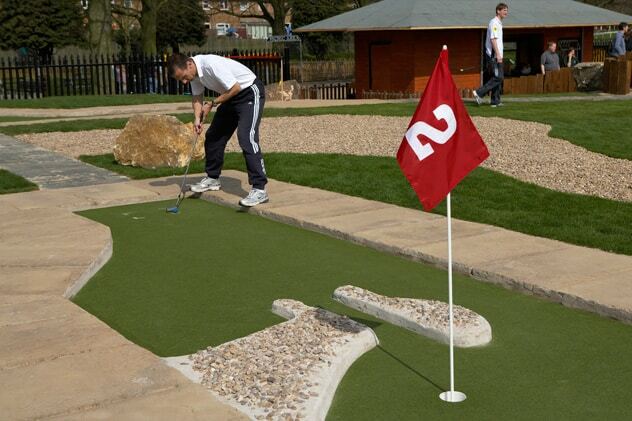 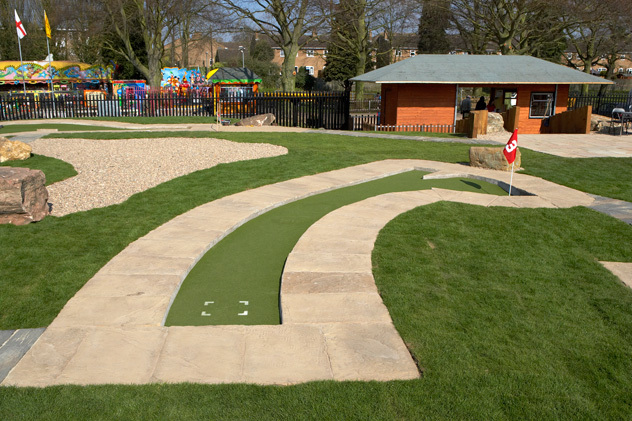 Dale Best, head of Leisure & Amenities at Warwick DC described the course as “a fantastic addition to the park”. 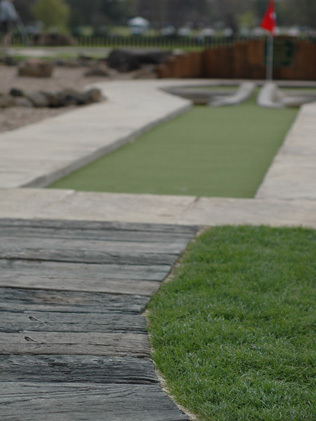 Powerful words. 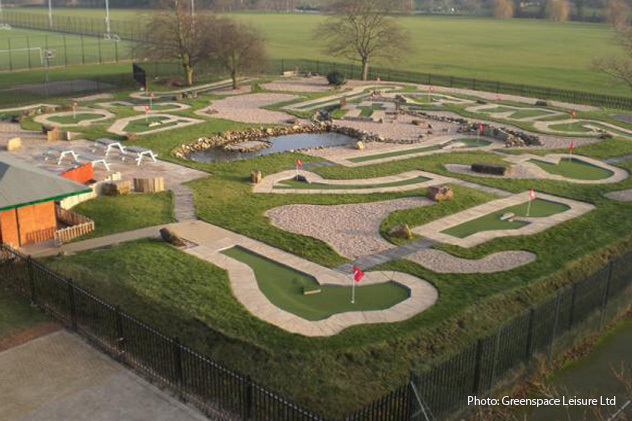 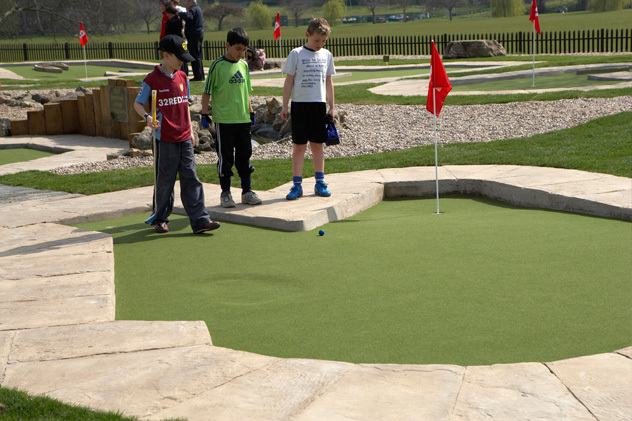 And since then, Warwick Adventure Golf has gone on to host high-profile BMGA tour events including the Midlands Open and British Doubles.